Could there be anything worse than the belief that not even your own dog likes you? Elizabeth Fensham’s new book begins with nine-year-old Eric running away from home, egged on by his ‘horrible’ sister Gretchen. Worse, when it doesn’t work out, he gets sent to his room for being rude to her like the victim is in prison and the bad guy is free. (p.6) No one in the family is ‘on his side’ – not even the dog. He seems to have made a number of mistakes with the dog, not the least of which is its name. Provoked by Gretchen who’s ten years older than he is, he names it Ugly. And because he doesn’t keep his promises about looking after it, the dog’s loyalty is to mum, who feeds him. And she doesn’t take kindly to Eric’s experiments with using the new idioms he’s learned at school: the dog was Eric’s eighth birthday present but since the dog loves her instead of him, he calls her an Indian giver. It’s not a pretty scene. Milly crossed off Emily and Skye’s ideas. One experiment appeals, but alas, it doesn’t work out. The idea of giving the dog bones fails after one try because his mother is none too pleased about Eric carving the bone out of the Sunday roast before it’s been cooked, and Dad is none too pleased about Ugly destroying the vegie patch to bury the bone. The rest of his crazy experiments don’t work out too well either. The humour derives partly from the narrative voice. The book is written entirely from Eric’s point of view, so although young readers can see that Ugly’s flaws are caused by Eric’s behaviour, Eric doesn’t see that at all. His whiny self-justifications and blaming of others are funny because they’re authentic. Meanwhile the dog is growing, and the time comes when there’s an ultimatum. Either Eric takes responsibility for the dog and trains it properly, or it has to go. The humour limps a bit as the ‘responsibility’ theme kicks in, but I still think that young readers will enjoy the book and its unexpected ending. The cover art by Jo Hunt is just perfect. PS Elizabeth Henshaw is also the author of Helicopter Man which won the Children’s Book Council of Australia Award for Book of the Year: Younger Readers (2006). It’s not a book for younger readers, IMO, because it’s a harrowing book about a boy whose father suffers from paranoid schizophrenia and they are on the run from the father’s imaginary enemies. But in the hands of a skilled teacher it is an excellent book for older readers and young adults to comprehend what life can be like when there is mental illness in the family. Just yesterday one of my students was very excited about her discovery of the excellent My Story series, and I suspect that another fan of historical fiction has been born! I wonder if she might also enjoy To See the World which is based on a similar premise: bringing history to life through the story of a child who lived in a previous era. To See the World is based on the true life story of a cabin boy named José, who went to sea aboard L’Uranie, a ship commanded by Louis de Freycninet in the early 18th century. 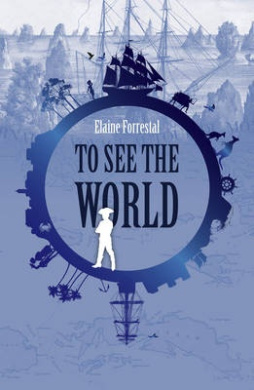 Elaine Forrestal has crafted his story from the journals of Rose de Freycinet, the adventurous young wife who disguised herself as a boy to stow away aboard L’Uranie, scandalising French society and worrying the superstitious sailors who thought that women brought bad luck. The book begins with José’s alarm at being expected to take lessons with Madame Freycinet, and he finds reading and writing hard going at first after his free-and-easy life in Mauritius. As the author explains in the historical notes at the back of the book, in 1818 many of the French officials on Mauritius had taken mulatto mistresses, and they were often generous to these women and their children. When José’s father was recalled to France in the wake of the Napoleonic Wars, he made provision for José by placing him in the care of Freycinet. Teaching him would provide an interest for Rose (who by the time L’Uranie reached Mauritius was bored and homesick) and an education for José would give him a better chance in life. As the lessons progress, José matures. He comes to see Rose as a person, and to care about her. At the same time, he adapts to life at sea, first taking on duties in the galley, and later when he is older, as a sailor. (The voyage lasts more than three years so he leaves boyhood behind as well as his family). He witnesses a death at sea, and is asked by the Commander to listen out for any incriminating conversations so that the murderer can be identified. He survives massive storms, shipwreck and being marooned on an island. He also witnesses historical events of interest to Australians: the removal of the Vlamingh plate; an encounter with the Malgana People of Shark Bay WA, and a visit to the fledgling Sydney Town at Port Jackson on the east coast. (Alas, Rose had some of her precious belongings stolen in Sydney – but, well, what could she expect ‘when more than half the population has been sent here for breaking the law’! The last part of the voyage where the ship’s company is at the mercy of a competing gun-runner and an American whaler is quite exciting, and José ‘s subsequent journeys are a bit of an anti-climax. But over all, I think young people will enjoy this book for the glimpse of an adventurous life that seems appealing despite its discomforts and dangers. Each chapter is illustrated with B&W reproductions of images from the National Library, including a painting featuring Rose and José that was censored from the official account of this voyage because Rose was not supposed to be on board. Rose de Freycinet herself, of course, deserves to be better known because while not the first woman to circumnavigate the world, she was the first to journal her experiences. (An image of a French publication of her journal is included in the book). Her husband, Louis de Freycinet is known to Australians as the navigator who managed to publish his map of the Australian coastline (complete with French place names and claims of French discoveries already made by the British) ahead of Matthew Flinders’ map because Flinders was detained by the French governor at Mauritius for six years. But time goes by, and petty rivalries can be set aside in honour of the brave men – and woman – who showed great courage and tenacity in the quest to explore the planet. 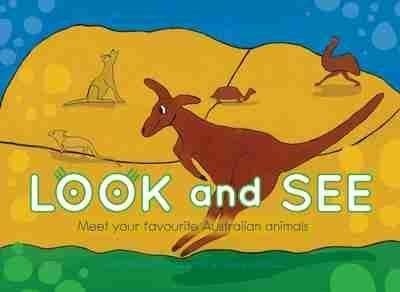 A most interesting and enjoyable book that deserves a place in school libraries everywhere.